One of the most productive Serbian producers — Erik Iker, better known as Ikerya Project — is quickly becoming a solid name in the uplifting trance scene. 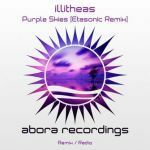 His new release on Abora Skies proves that his unique style of uplifting trance is sought after by many around the world. This riveting track captivates you from beginning to end. Its uniqueness is apparent from the very beginning, where magical vocals & a simple duduk sound draw you in. A beautifully crafted breakdown consisting of guitar lines, vocal chants, and intriguing strings eventually builds into a brilliant drop and climax, something Erik is well known for. Lovely November is also very clubby, so you can enjoy this track in clubs too. At 6:15, this is one of the shortest orchestral uplifting tracks ever made, so everything is packed into a short space, delivering maximum impact. Algerian producer Balearía adds a different touch with his ethnic oriental chillout Antiquity Mix. Forgoing the usual electronic sounds, he instead relies on ethnic & tribal instruments mixed with vocals. It's a mix of many musical styles & genres, including ethno, new age, chillout, oriental, and epic. 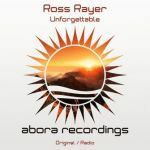 Abora is always open to people who live to experiment with music! Ladies and gentlemen, this is "Lovely November".